Doors will open at 7:30 a.m. for breakfast and networking. 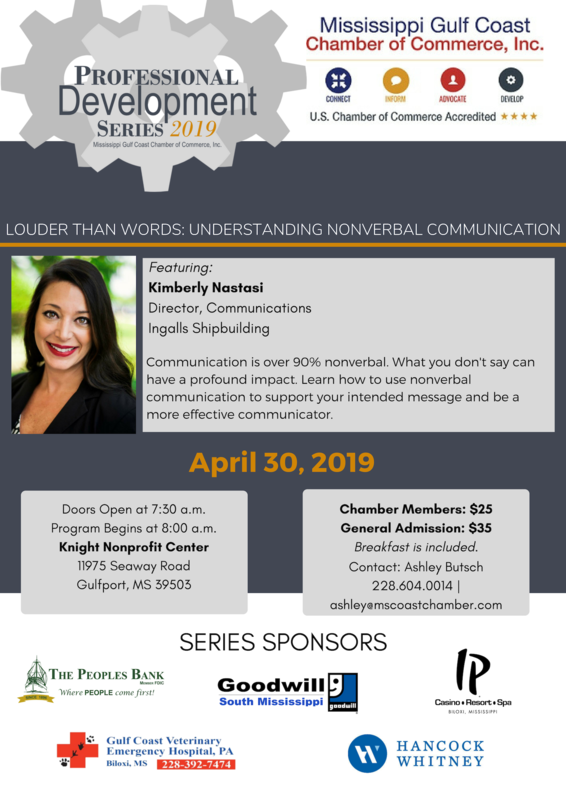 Join Kimberly Nastasi, Communications Director with Ingalls Shipbuilding, discuss nonverbal communication. Communication is over 90% nonverbal. What you don't say can have a profound impact. Learn how to use nonverbal communication to support your intended message and be a more effective communicator.